The Magnum sofa showcases a clean and elegant transitional style. 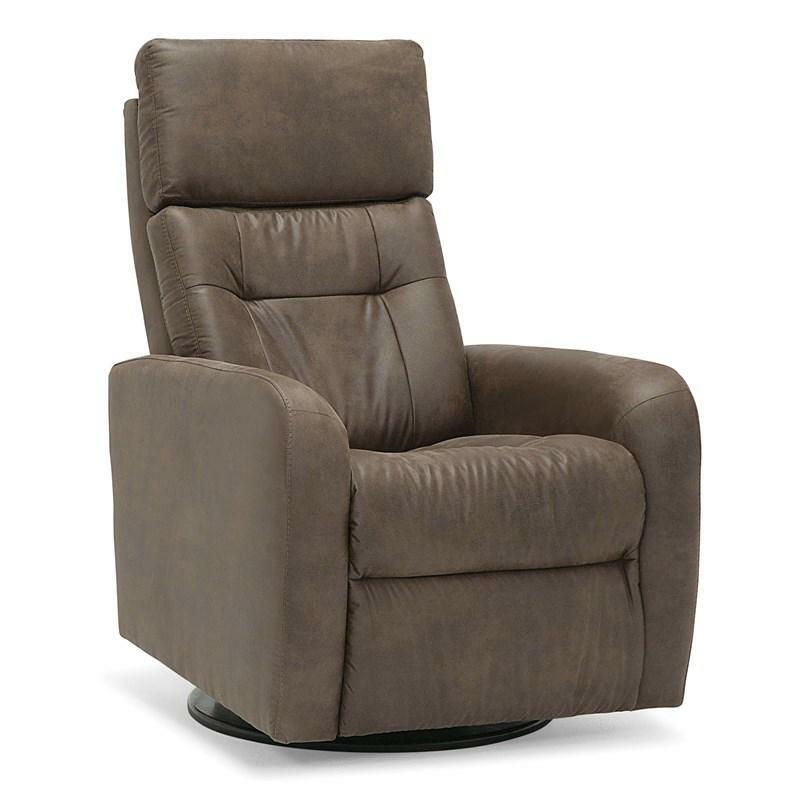 Classically proportioned, the Magnum features a simple roll arm that is trimmed with a piping detail. 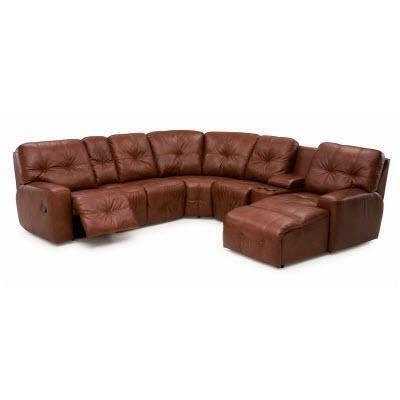 The tailored design continues to the cushions, which are accented by a single top stitch detail. 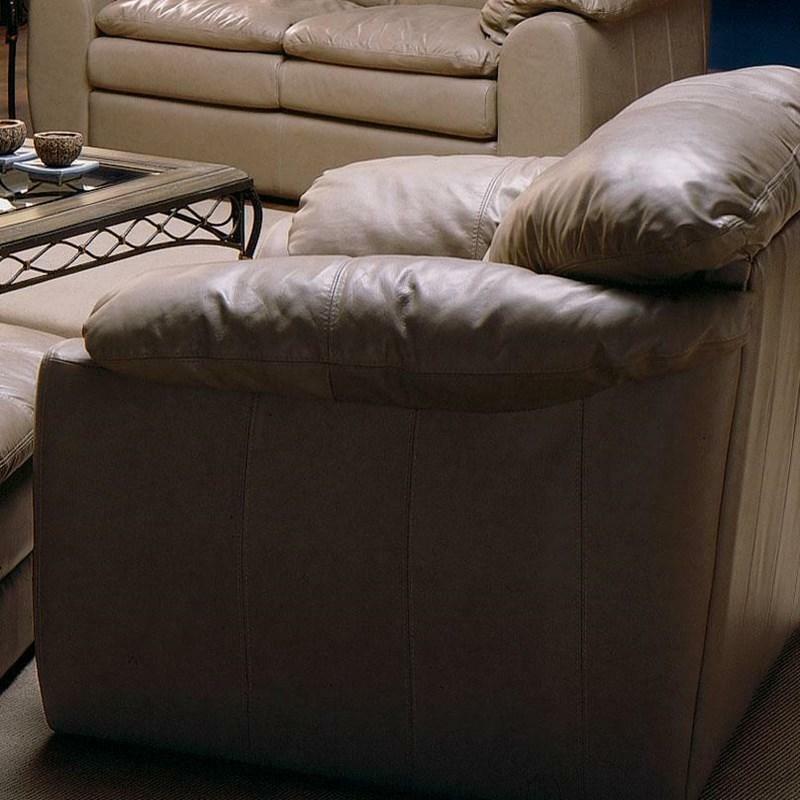 Plush, blown fibre back cushions offer a softness you can sink into while the seat cushions feature high-resiliency foam for premium comfort and support. 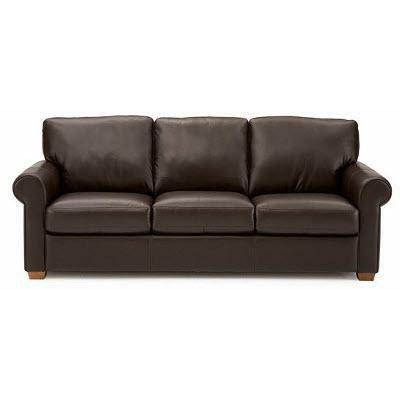 The Magnum sofa is finished with a solid wood leg in a rich espresso finish to complete the look. Moderately scaled, with seats you can sink into, the Magnum is a great choice for rooms that are made for entertaining guests and relaxing with family. 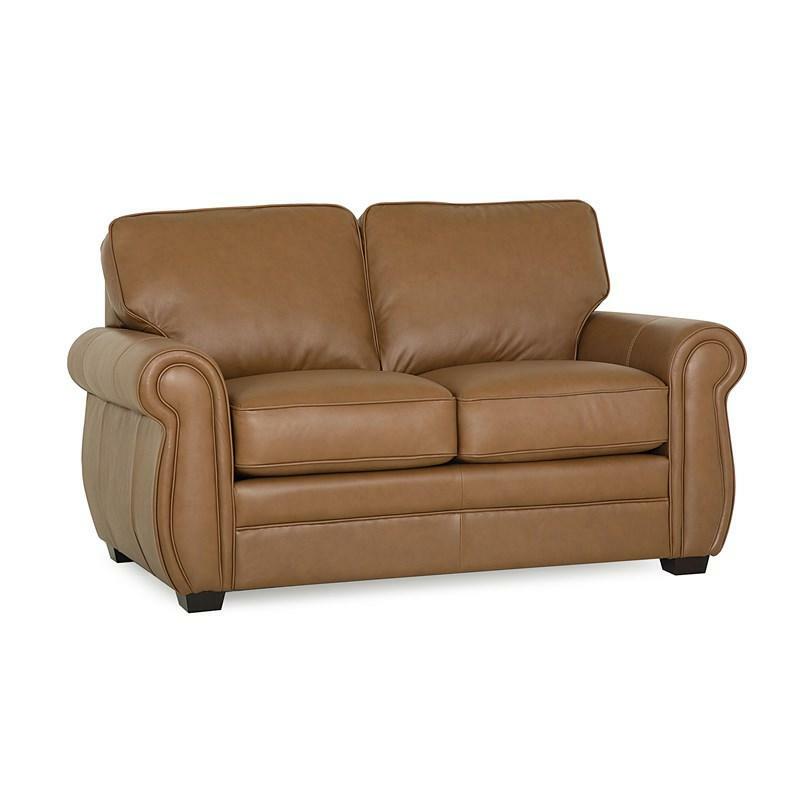 The Thompson Loveseat from Palliser features rolled arms, wooden feet, high resilience seat foam and blown fibre filled back.